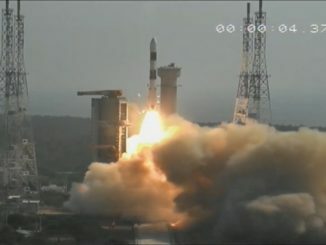 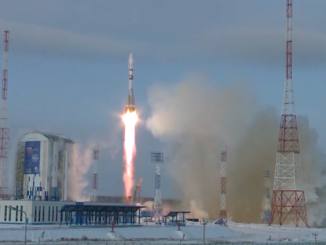 An Indian Polar Satellite Launch Vehicle blasted off and successfully deployed a military electronic surveillance satellite and 28 nanosatellites for companies in the United States, Lithuania, Spain and Switzerland at two different altitudes Monday, before the rocket’s upper stage began an extended mission as a solar-powered experiment platform in low Earth orbit. 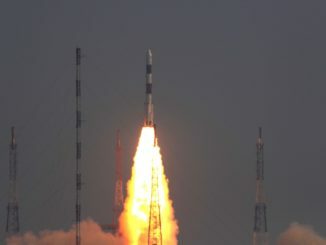 India debuted a new configuration of its workhorse Polar Satellite Launch Vehicle, featuring four strap-on boosters and an upper stage with solar arrays to generate electrical power, with a liftoff at 0357 GMT Monday (11:57 p.m. EDT Sunday). 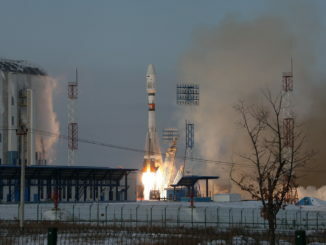 The mission lofted an Indian military satellite and 28 nanosatellites for companies in the United States, Lithuania, Spain and Switzerland. 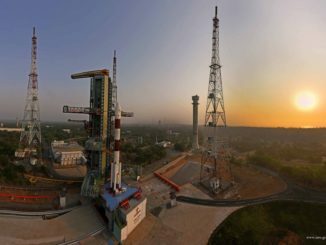 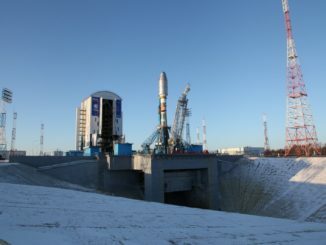 An Indian Polar Satellite Launch Vehicle is scheduled for liftoff Sunday night with an intelligence-gathering electronic surveillance satellite and 28 secondary payloads, including 20 Earth-imaging Dove nanosatellites for Planet, the U.S. company which criticized India’s anti-satellite test for generating space debris last week. 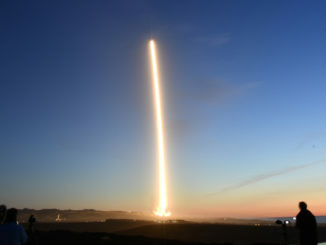 Take a look back at the Dec. 22 liftoff of a SpaceX Falcon 9 rocket from Vandenberg Air Force Base in California, a launch that was visible across Southern California and as far away as Arizona as the booster climbed into sunlight at dusk to deliver 10 commercial communications satellites to orbit. 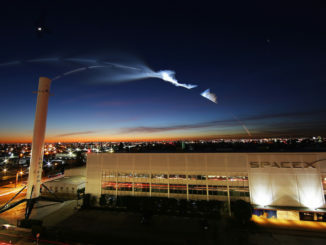 Putting on a holiday light show for Southern California and much of the desert southwest, a SpaceX Falcon 9 rocket fired into a twilight sky from the Pacific coastline Friday night to add 10 new satellites to Iridium’s upgraded communications network. 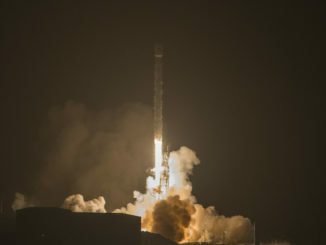 SpaceX’s Falcon 9 rocket took off Monday from Vandenberg Air Force Base in California with 10 new satellites for Iridium’s upgraded communications network in low Earth orbit. 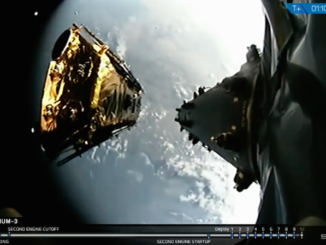 Watch a replay from a camera mounted on-board SpaceX’s Falcon 9 rocket as it released one of 10 Iridium Next communications satellites Monday nearly 400 miles above Earth.